Enjoy spectacular, 360 degree views of Chicago in this 6000+ square foot home in the sky. Best views ever! 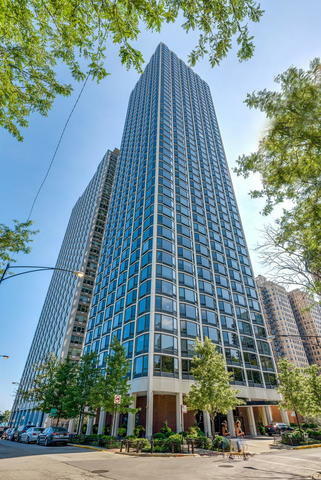 This home occupies the entire 41st floor with direct views over Lincoln Park, Lake Michigan, and the Chicago skyline. Wide open modern living spaces and expansive room sizes offer a sensational space for entertaining. Totally current chef&apos;s kitchen with huge butler pantry and separate work room. The oversized master suite has a fabulous closet/dressing room and a gorgeous master bath with custom poured concrete tub and sink plus a large shower. There are 4 additional bedrooms, three full baths, and two powder rooms. 1555 Astor is a full service building with a wonderful door staff, onsite manager and engineer, fitness center, pool, and sundeck.